Spend the night at the last place listed for each day. Refer to the relative section of the book for more information about each destination. A star next to the destination suggests that you could spend more than one day there. Note: It is possible to travel from Chhota Udepur via Dahod to Ujjain/Bhopal in Madhya Pradesh. From Surat and Valsad frequent trains travel to both Ahmedabad and Mumbai. Vadodara (also known as Baroda), Gujarat's third largest city, is considered the state's cultural capital. Pavagadh Hill, graced with a combination of Hindu and Jain shrines, towers over Champaner, the 15th c. pre-Mughal Islamic fort. Together they represent the diversity of religious influences that have pervaded Gujarat. Panchmahal District boasts of a distinctive tribal and forest belt that extends through Dahod, a district that shares borders and customs with Madhya Pradesh and Rajasthan. 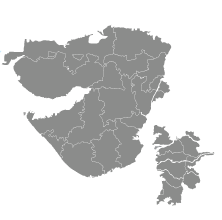 To the west, the neighboring districts of Anand and Kheda share the nickname, Charotar or "the fertile land", with their prosperity rooted in the tobacco and cotton fields that cover the region. Sabarkantha, bordering southern Rajasthan, is a rich tapestry of colorful people, diverse wildlife, fascinating landscapes, places of pilgrimage and nearly forgotten ruins engulfed by the forest. Revel in Holi, the festival of colors at Chhota Udepur, where tribal fairs erupt in every community around this region in eastern tribal belt of Gujarat. The giant boulders at Idar Hill Fort are a natural wonder that have guarded this town for centuries. Trek through the enchanting bamboo and teak forests of the Shoolpaneshwar wildlife sanctuary. A vibrant art scene, imposing palaces and one of India’s leading universities make the Vadodara metropolis Gujarat’s City of Culture. From majestic mosques to a hilltop fort, the UNESCO World Heritage Sight of Pavagadh and Champaner resonate with history and legend.